Looking for some in your face hip hop? 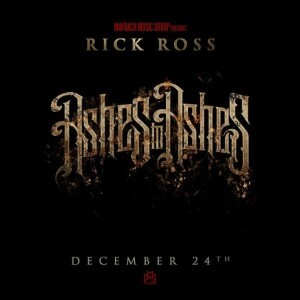 Rick Ross debuts his brand new mixtape Ashes To Ashes just before the holidays. The 12 track mixtape features some guests like Drake, Wale, Wiz Khalifa, Big Sean, Ne-Yo, Birdman, hell even the late Barry White has an appearance on a track. You can download the mixtape for free here.